Steven (Chicagoland, United States) on 29 August 2013 in Landscape & Rural and Portfolio. 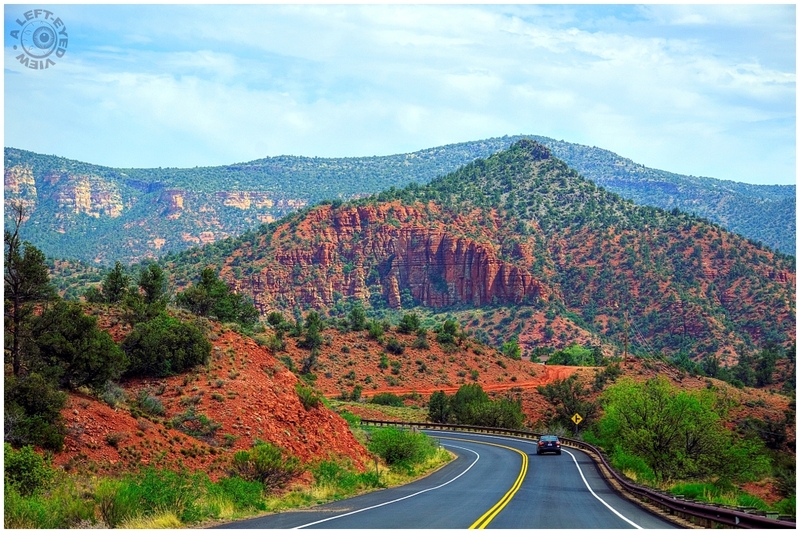 Hard to keep your eyes on the road when you see what surrounds you in Sedona, Arizona. Photo captured on May 5, 2013. Yep, I bet there are many accident reports including the phrase "Seemed to drive off the road for no good reason-until we saw the view that he was looking at"
Many a true word . . what an experience that view is. beautiful traveling through this place ! A wonderful work !! Absolutely beautiful ! It looks like your entering "Kodak Valley" ... something conjured up with all sorts of enhancements. Until you see it with your own eyes, it's hard to believe. A great documentary, Steven! Spectacular landscape! I like how the curvy road draws my eye. Wonderful scenery splendidly captured. And you are right about so much beauty posing some danger in an appreciative driver. Yeah, how can you drive? when all you want to do is "see" the countryside. So beautiful. Wow, what an amazing view while traveling ~ awesome photo! indeed the landscape is amazing! superb composition and fantastic detail! Isn't it beautiful? Great shot of the red rock. Amazing colours there. A very nicely composed landscape shot. Beautiful ! Colors are gorgeous ! Beautiful compo, like the red color of the ground. I agree, I've been there..
What an awesome landscape. Gorgeous ! Spectacular landscape and beautiful colors! A paradise for drivers!! A stunning shot of this spectacular landscape ... the colors are really wonderful !!! I can see why it would be hard to keep your eyes on the road :-) great catch! The saturated colour works very well. Gorgeous color-I love all of that green!